Bruce N. Canfield - Author, collector and historian of Post Civil War U.S. Military Weapons. Don't forget to read "Canfield's Corner" for an interesting read on some of the military's most interesting small arms. Civilian Marksmanship Program (CMP) - The Civilian Marksmanship Program promotes firearms safety training and rifle practice for all qualified U.S. citizens with special emphasis on youth. The CMP operates through a network of affiliated shooting clubs and associations that covers every state in the U.S. The clubs and associations offer firearms safety training and marksmanship courses as well as the opportunity for continued practice and competition. Dean's Gun Restorations (DGR) - If you need a military firearm restored, parkerized, repaired, and/or rebuilt, this is the firm that will do it right. Garand Collectors Association (GCA) - If you own an M1 Garand, you should be a member of this organization. The GCA is devoted to the study of the M1 rifle. It is the intent of the GCA to foster interest and study on the subject of this superb military firearm. This is the link to the "new" GCA website! Let Freedom Ring For All - A great website - make sure you view the video snippets - have a handkerchief handy too! The website's purpose is to reach high school students, in particular, stressing the importance of FREEDOM and delivering the factual message that so many young American lives have been sacrificed to insure our safety and lifestyle that we all enjoy here in the United States of America. 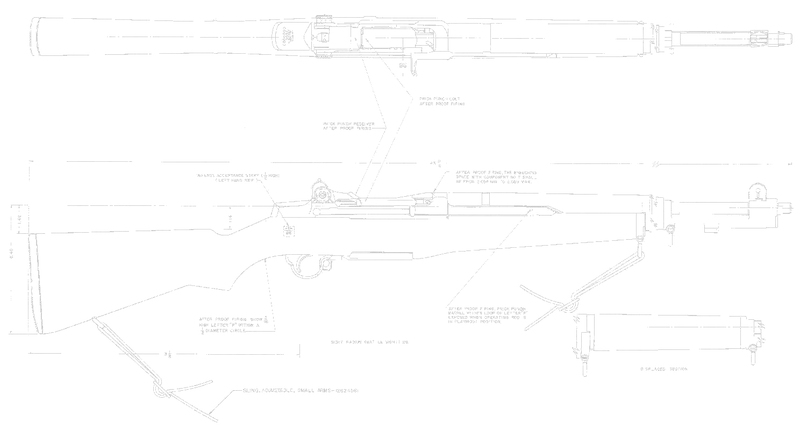 Memorable Places - The M1 Garand Rifle - Garands, accessories, maintenance, and nomenclature information. Scott Duff - Fine books, rifles, accoutrements and accessories. The Firearms Forum - A great place for the discussion of a broad range of firearms related issues! William J. Ricca Surplus Sales - Military weapons & small arms parts and more sold here!